Werther, Jules Massenet’s portrait of a passionate affection that will lead to tragedy, is the fourth and final production of the company’s 78th season. Werther (ver-TAIR) is scheduled for six total performances, four performances at the Adrienne Arsht Center’s Ziff Ballet Opera House from April 27 to May 5 in Miami and two performances at the Broward Center for the Performing Arts Au-Rene Theater in Fort Lauderdale on May 9 and May 11, 2019. An operatic tragedy of doomed love. This is will be a new production by Florida Grand Opera, pairing international opera stars Dimitri Pittas and Daniela Mack. Overflowing with yearning and heartbreaking melancholy, Massenet’s most romantic tragedy is inspired by a true story of unrequited love originally penned by the genius of modern German literature, Johann Wolfgang von Goethe. Werther is the story of an idealistic poet who cannot live without love, and the object of his obsession, Charlotte. FGO has celebrated Massenet in the past with productions of Manon, Thaïs, and of course, Werther (1973 with Carlo Bergonzi; 1982 with Nicolai Gedda; 1997 with Fernando de la Mora as the lovesick poet). One of the greatest French composers of the late 19th century, Massenet’s music brims with emotion and exquisite melody, it was a major influence on Puccini’s style of composition. 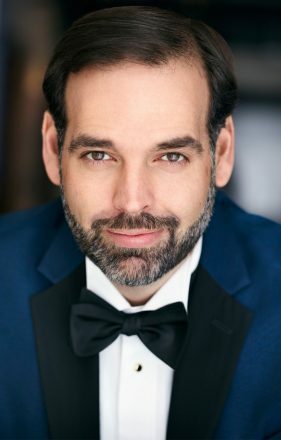 Starring in the title role is Greek-American tenor Dimitri Pittas, Opera News recently wrote that “Pittas’ Macduff in Verdi’s Macbeth at The Metropolitan Opera won unanimous raves.” This will be his operatic stage debut with Florida Grand Opera. 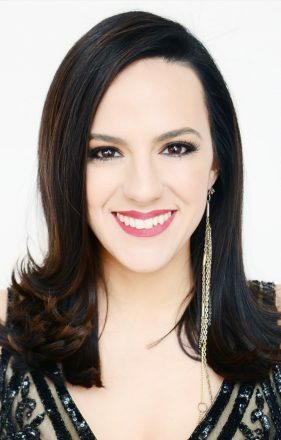 Opposite him as Charlotte is Argentinian-American mezzo-soprano Daniela Mack, who dazzled audiences in her FGO debut in the Fort Lauderdale performances of Carmen in 2016. The Opera-Pre Talk will begin one hour before the scheduled performance time and will last for 30 minutes. After each performance will be an informative Q&A session hosted by Florida Grand Opera’s General Director and CEO, Susan T. Danis. Tickets are on sale now. Tickets start at $15 in Miami and starting at $21 in Fort Lauderdale. Select your seat online at www.FGO.org or call the box office at 800.741.1010, Monday – Friday from 10am – 4pm. Tickets can also be purchased in person at the Florida Grand Opera Box Office located at the Doral center at 8390 NW 25th Street, Miami, FL 33122.